Most often Dr Adams, will use laughing gas or nitrous oxide as a pre-sedative for IV placement. In the event of extreme dental anxiety and long procedures, we may also use an oral sedative as a pre-sedation. The oral sedation drug in our office is triazolam. Triazolam is a moderate strength benzo that is long acting. Triazolam, as a dental sedative, provides a nice sedative base for the overall IV sedation and is helpful to calm the patient during placement of the IV. 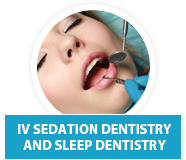 Full sedative dentists drugs we use are typically used for moderate and deep sedation. The dental sedatives of choice in our office for IV sedation are fentanyl and verced. Fentanyl provides sedation and gives the patient the sense that everything is great. You will never feel better than when you are on fentanyl. Everything seems awesome no matter how bad it is…even the worst news is euphoric. Verced also called midazolam is a benzodiazepine used for sedation and its unique ability to produce retrograde amnesia. Who wants to remember a thing in the dental office. When you are under verced, you will likely not remember a thing. Verced is also a hypnotic which is also a good thing for the sleep dentist and sedation dentistry in general. 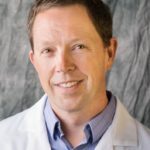 IV sedation is best for longer cases, cases of high anxiety, people who have difficulty getting numb or for individuals with severe gag reflexes. Full sedation for implants, impacted wisdom teeth removal, cases where several teeth are going to be fixed at one time is a good idea. The above cases can get long and be difficult to tolerate. When there is anxiety and uneasiness during a procedure, there is usually more inflammation, pain and possibly poor outcomes. There are many effective oral sedatives. The dental oral sedative our sedation dentists like the best for oral sedation dentistry is triazolam. Triazolam is a great oral sedative because it provides good mild to moderate sedation that lasts for 1-2.5 hours. Triazolam is quite a bite stronger than valium and xanax. Triazolam sedation requires patient monitoring to be sure the patient maintains stabled vital signs especially if multiple doses are going to be used. Valium, diazepam and xanax are usually single dose administration for lighter oral sedations and usually do not require patient monitoring. Nitrous Oxide is a form of twilight sedation for mild to moderate dental anxiety. It sets in very quickly and wears off as soon as the gas sedation mask is not in place. Nitrous is very non-toxic and has very few contraindications. Pregnancy is the main contraindication. Pregnant women can not use NO2 gas sedation. Laughing gas is sometimes used in combination with IV Sedation but with caution because the combination in some patients may produce sedation that is too deep. 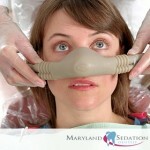 Laughing gas should never be used in combination with oral sedation unless there is an IV in place.